Preheat oven to 180oC. Coat an 8-inch square baking pan with cooking spray. 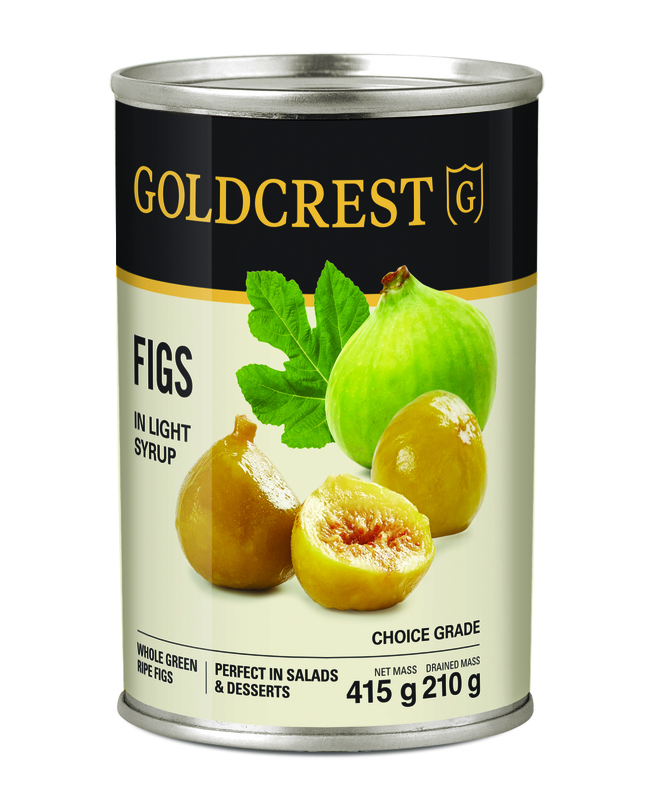 Drain the GOLDCREST figs. Peel and thinly slice the apple, and add it to the same bowl. Toss to combine, then transfer to the baking pan. Place the oats, flour, shredded coconut, cinnamon, salt, and chopped walnuts in a bowl. 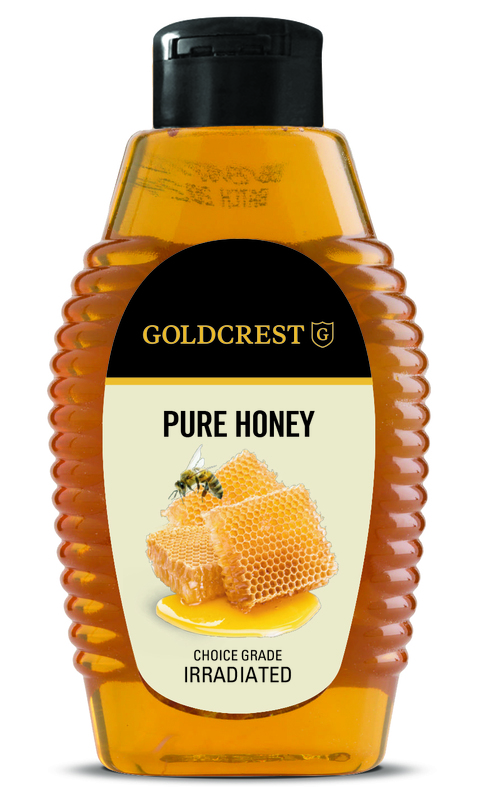 In a small saucepan over low heat, add the GOLDCREST honey, coconut oil and vanilla extract. Stir often until the mixture is evenly combined and melted. Spoon 2 tablespoonsof the honey mixture directly on top of the fruit. 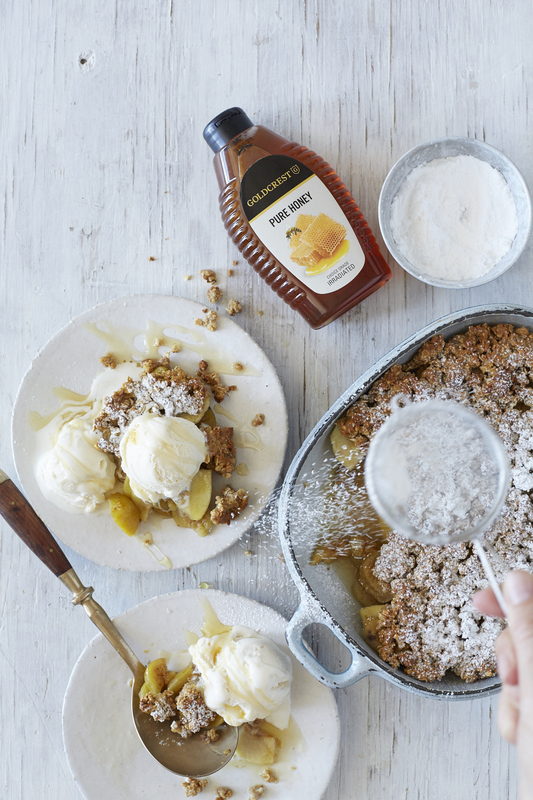 Pour the rest of the honey mixture into the bowl with the dry ingredients. Stir with a wooden spoon until evenly combined. Spoon the crumble on top of the fruit. Bake for 20 minutes, or until the crumble is golden brown. Remove from oven and allow to slightly cool before enjoying.